Adult. Milk Snake phase. 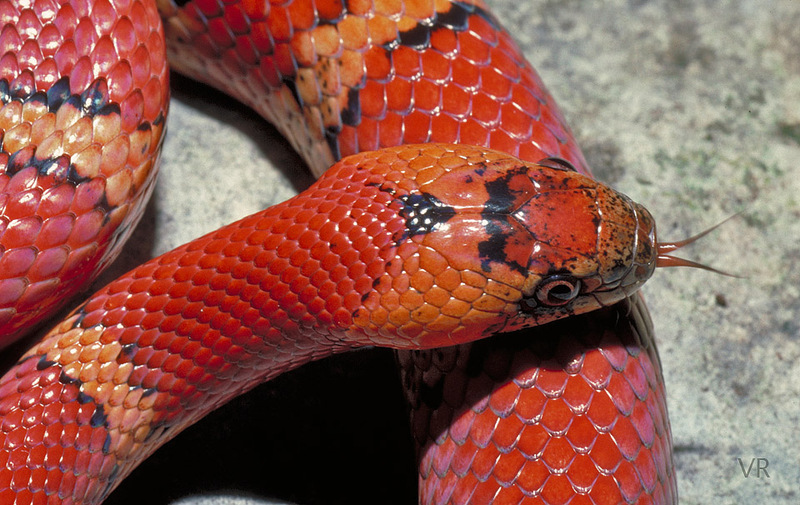 Around 2009 we were producing a line of unusual milk snake phase thayeri that appeared as if a brightly colored milk snake had been dipped in candy apple. Unfortunately, because of management issues and unanticipated distractions we lost the genes for this trait and have been unable to resurrect the line.